As expected, the new FCC rules for wireless siting appeared in today’s Federal Register. I have attached them here as a PDF. Today, October 17, 2014, the Federal Communications Commission (“Commission”) voted to adopt new federal rules that significantly undermine local police powers to regulate wireless infrastructure. The rules will become effective 90 days after the Commission publishes the Report and Order (“Order”) in the Federal Register. 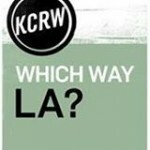 Warren Olney, host of Which Way L.A. on KCRW (NPR in Southern California) devoted a segment of today’s program to wireless tower siting. Titled, “The No Longer Hidden Cost of Wireless Technology” Warren focus on the looming debate about more cell sites closer to their customers. Just released this morning is the U.S. Supreme Court decision that, on a 6-3 vote, upholds the FCC Shot Clock. The decision is linked below. Assembly Bill 162 in a Cocoon for 2013. Now what? AB 162 will try to re-emerge in January 2014. Let’s take the time now to continue to educate our electeds. Now that Assembly Bill 162 has been removed from California’s legislative agenda for 2013, it’s vital that we remember that the Bill is not dead; it is merely awaiting a rebirth in some . . . → Read More: Assembly Bill 162 in a Cocoon for 2013. Now what? Hot news just in: AB 162 has been pulled from this year’s legislative calender. This means that the Bill will not come up for consideration until at least next January. Many people; many local associations; and many local governments have been instrumental in achieving this result, and they all deserve thanks. Must Cities Administratively Approve 6409(a) Projects? Nope. I recently received a phone call from a very senior government rep of a very large wireless carrier. The carrier’s rep called to share his displeasure that the city I frequently work with would not administratively grant approval of what he determined to be subject to Section 6409(a) of the Middle Class Tax Relief Act . . . → Read More: Must Cities Administratively Approve 6409(a) Projects? Nope. Yesterday, January 25th, the FCC released a public notice titled, “WIRELESS TELECOMMUNICATIONS BUREAU OFFERS GUIDANCE ON INTERPRETATION OF SECTION 6409(a) OF THE MIDDLE CLASS TAX RELIEF AND JOB CREATION ACT OF 2012” (DA 12-2047).